Amsterdam makes a great home base in the Netherlands thanks to its central location, plus the availability of efficient buses and trains open up a ton of possibilities when it comes to daytrips. In fact, first time visitors may feel overwhelmed with the number of options – from the charming city of Haarlem and blue and while ceramic shopping in Delft to the impressive architecture in industrial Rotterdam, beautiful windmills in Kinderdijk, the medieval university city of Utrecht and many more – making it hard to choose which ones to plug into their itinerary. 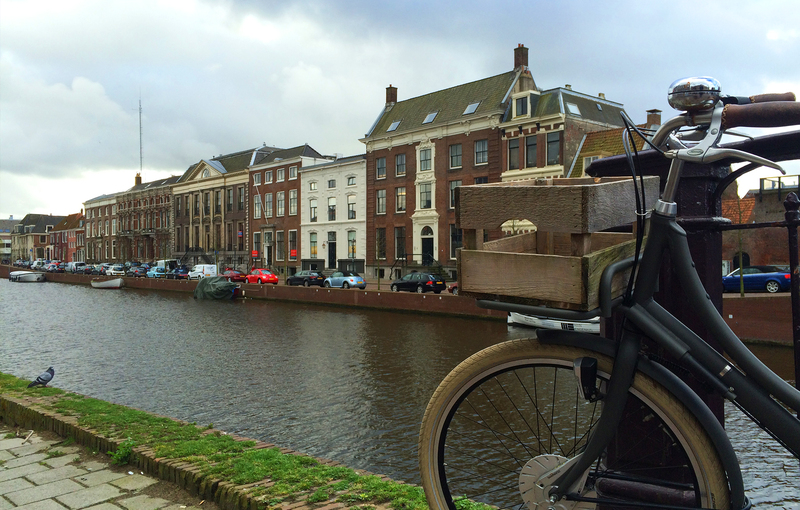 I know I felt this way when planning my own trip, so here are a few daytrip ideas to get you started, all of which depart from Amsterdam’s Centraal Station. Often thought of as a smaller version of Amsterdam, Haarlem has all the same charm – think quaint canals, cobbled streets and a windmill to round things out – but lacks the volume of tourists. 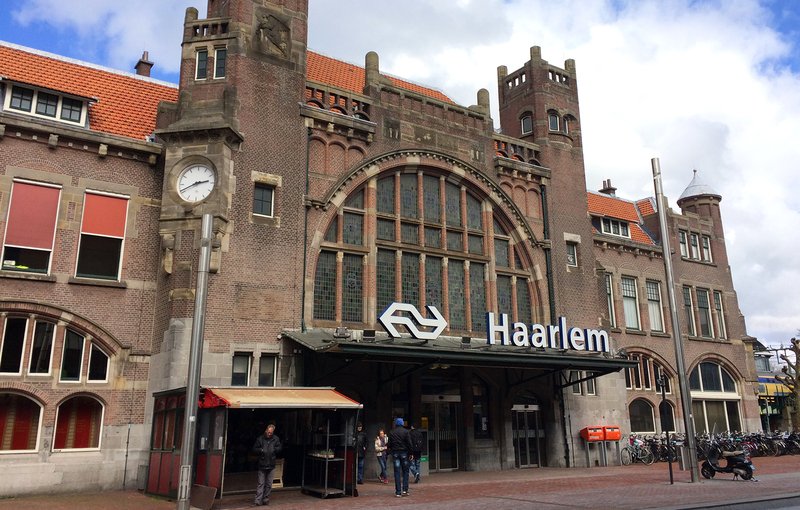 Plus the two cities are conveniently close thanks to a speedy train that feels almost as short as a metro ride in between, and some people actually prefer to stay in Haarlem over Amsterdam. For daytrippers, this laid back city is perfect for wandering with a handful of museums, shopping streets and lots of little cafes and restaurants to choose from (we ate lunch at a tea shop with delicious soup and sandwich combos). Other sites include the formerly Catholic-turned-reformed Protestant Church of St. Bavo off Grote Markt (Market Square) with its beautiful wood ceilings and an impressive 5,068 pipe organ, and the Corrie ten Boom House, which tells the story of the Ten Boom family who helped hide Jews from Nazis during WWII. 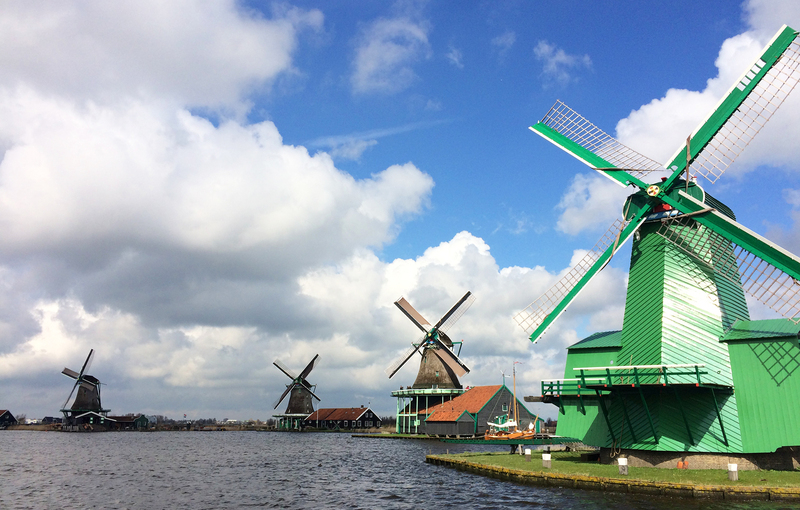 Probably one of my favorite daytrips, Zaanse Schanse is about as Dutch as it gets. This open-air museum is a delightful recreation of a working Dutch village with themed houses and shops, cute barnyard animals and beautifully-preserved windmills, many of which are still in use today. Even though it’s clearly for tourists, I found Zaanse Schanse to be really enjoyable. We learned a lot, shopped a lot and ate a lot, and I loved how many of the sites were hands-on in nature. In case you need more convincing, here are some other reasons why you should visit. There are many daytrip options in northern Netherlands and we choose the Waterland trio of Edam, Volendam and Marken. It was cold and blustery the day we visited, which seemed to have driven locals inside and other tourists away. Nonetheless, it was actually kind of fun to have these small little towns virtually to ourselves. 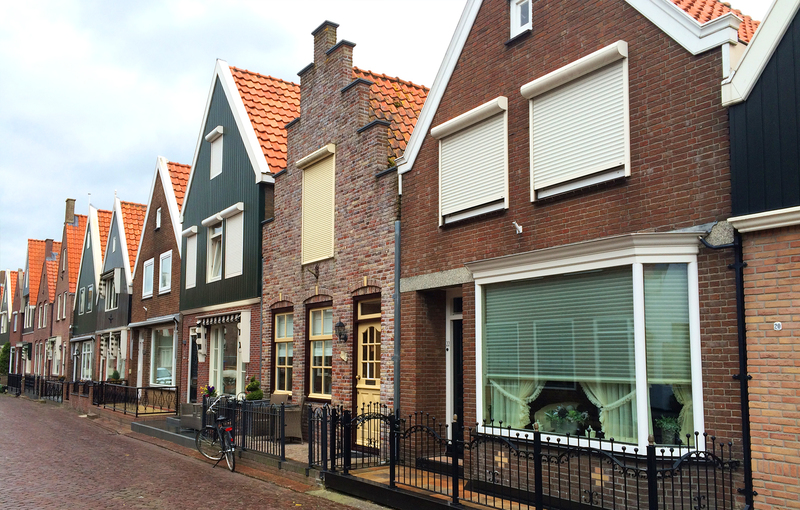 First up was Edam, with its adorable cobbled lanes and canals, picture-perfect houses and a big cheese market on Wednesdays during the summer months. Next we took the bus to the equally adorable harbor town of Volendam, which boasts a carnival-esque waterfront promenade with lots of little shops and eateries as well as a handful of food carts. It would have been even more enjoyable to stroll along the water had the weather not been so bad, although we did find an awning to huddle under to enjoy some poffertjes, mini Dutch pancakes smothered with warm cherries and Nutella, after a delicious lunch overlooking the water. From there you can take the Marken Express ferry to the nearby island fishing village with traditional wooden houses and narrow lanes that are made for exploring (we cut our trip short since the boat ride cost extra and the rain and waves were continuing to intensify). If you find yourself in the Netherlands during the spring, then a visit to Keukenhof should be on the top of your list. From the end of March through the middle of May, this park comes to life with a kaleidoscope of more than 7 million bulbs – ranging from crocuses to daffodils and of course tulips! It’s an incredible sight like nothing you’ve seen before, with beautiful flower beds, perfectly manicured lawns and other displays and special events in its pavilions. 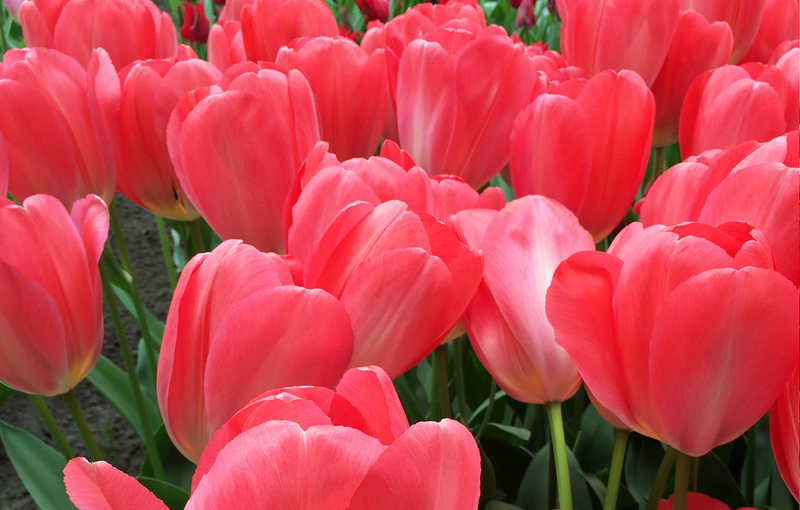 Even though the weather and blooming season in the Netherlands can vary from year to year, what I like about Keukenhof is that no matter when you visit during its 8-week run, you’re guaranteed to be treated to a colorful show. Plus, after you visit the park there are tons of other flower fields around the area that are worth seeking out – think rows and rows of bulbs in bloom – definitely an unforgettable experience! Read more about my early-April visit here.